Duchess Kate and daughter Princess Charlotte were spotted on a very Christmassy girls’ night out recently. The royal girls headed to a special viewing of The Nutcracker at London’s Royal Opera House, attending a rehearsal for the popular festive ballet. 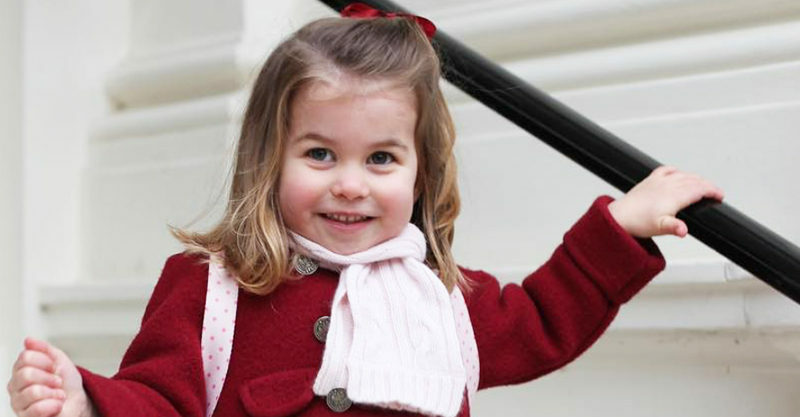 Sneakily shot images of the pair have popped up on social media showing Kate dressed in a plaid skirt and jumper and Charlotte in one of her trademark smocked frocks. The cute twosome are holding hands as Kate chats to others attending the performance. Prince William has previously revealed that this is the sort of event Charlotte can’t get enough of. “My daughter Charlotte loves dancing”, he told attendees at a Commonwealth Day reception in March. It seems that ballet is a favoured art for some of the other young royals, with Prince George taking up ballet classes at his school – St Thomas Battersea – when term started this year. 🎄🎅🎁 "If it's not too early…Merry Christmas to you all!" — The Duchess of Cambridge, at a Christmas Party hosted by her and The Duke of Cambridge at Kensington Palace, supported by the @royalbritishlegion, for families and children of deployed personnel from RAF Coningsby and RAF Marham serving in Cyprus. It’s been a week of fun and festivities for the Cambridge family, with William and Kate heading to the Royal Air Force Akrotiri in Cyprus to chat with the local community and meet serving personnel. “If it’s not too early, Merry Christmas to you all,” Kate said at a Christmas party for the military families. Do YOU share this Christmas tradition with royals George, Charlotte and Louis? Guess what Prince George and Princess Charlotte call Prince Charles? William made a cheeky joke about Kate’s green jacket as the pair posed for photos with delighted party guests. “My wife’s camouflaged against the tree,” William quipped while Kate chortled in agreement. We also spotted Grandpa Wales’ wife Camilla with a reindeer on Instagram earlier today, so it’s full steam ahead with the Christmas vibes for this privileged gang. They’ll all be popping up at Sandringham this year, where they’ll spend Christmas with the Queen and other members of the royal family. They’ll also attend the traditional Christmas Day service together … perhaps with George tagging along for the first time!